How osteoblasts are supplied during bone regeneration has been controversial among bone researchers. 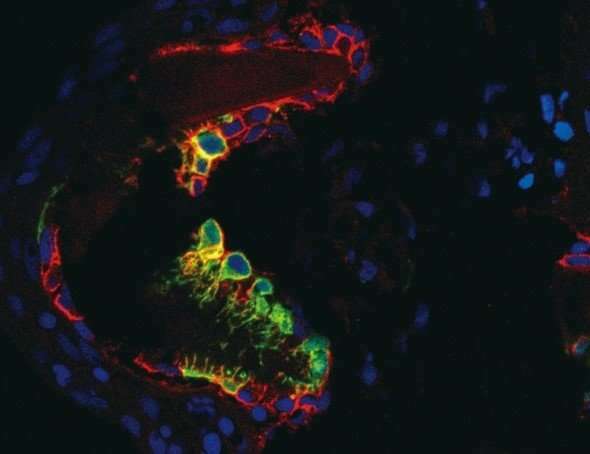 According to Atsushi Kawakami, an Associate Professor who specializes in tissue regeneration and led the study, scientists disagree on how these cells are made. The new study uses genetically engineered transgenic zebrafish to show that a population of progenitor cells marked by high expression of matrix metalloproteinase 9, an enzyme that catabolizes collagens, provides osteoblasts during regeneration (Figure 1; Figure 2). Kazunori Ando, a graduate student who conducted the experiments, calls these cells osteoblast progenitor cells (OPCs). Consistently, eliminating OPCs prior to tissue injury significantly impaired bone regeneration. 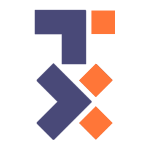 Overall, the study shows that OPCs are essential for bone regeneration. The researchers further investigated the developmental origin of OPCs and found that OPCs are derived from embryonic somites and reserved in niches of bone-forming tissues in adult animal as the source of osteoblasts. Embryonic somites produce osteoblasts during vertebrate development, but its relationship to adult osteoblasts was not known. The study revealed that OPCs derived from the somites are the dormant cells for later production of osteoblasts in adult animal. In conclusion, the findings suggest that a lineage of bone-producing cell, which are specified in embryonic somites, are maintained throughout the animal lives as progenitor cells for bone regeneration and also for bone maintenance (Figure 3). "We use animal models because they show us a number of essential cellular and molecular mechanisms behind our existence. 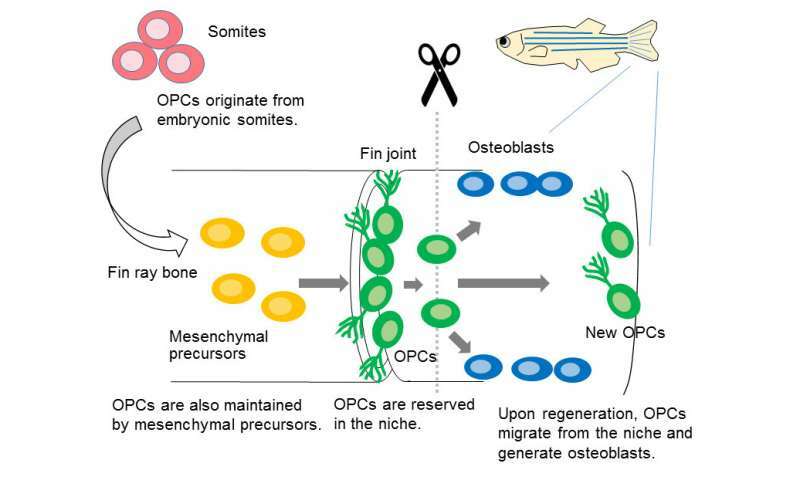 Considering the higher bone regeneration potential in zebrafish, OPCs will be a potential target for enhancing bone regeneration in mammals" said Kawakami.